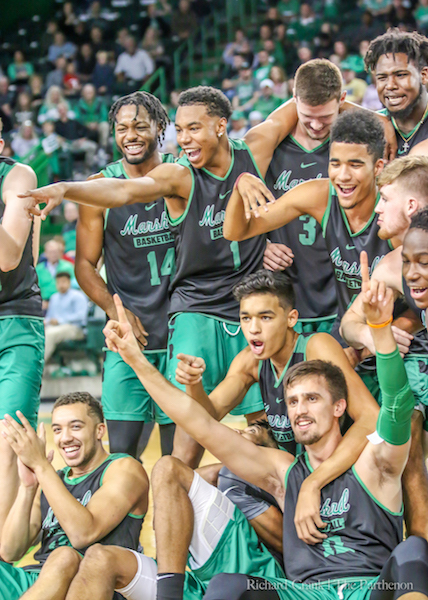 Herd men's basketball players pose for a group photo at "Herd Madness." 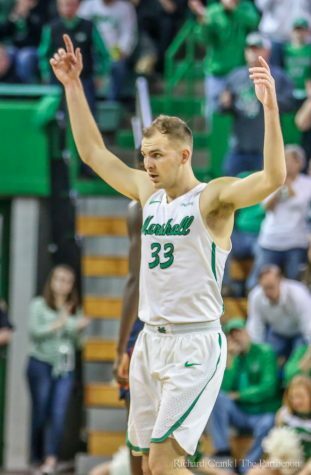 When the preseason AP Top 25 college basketball poll was released a week ago, just one team from Conference USA had any consideration – Marshall, which received one 25th-place vote. 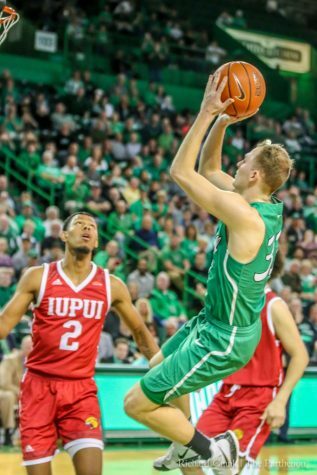 The expectations for the Thundering Herd in 2018-19 are lofty after winning the school’s first conference championship since a regular season Southern Conference title in 1988 and reaching the second round of the NCAA Tournament for the first time in school history. 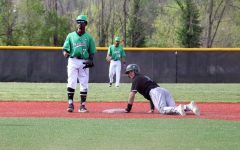 The conference tournament title was the first for the Herd since winning the Southern Conference tournament in 1987. That goal of pushing the program into the next level will have its challenges. 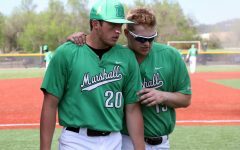 The Herd was picked to finish second in Conference USA this season behind Western Kentucky. 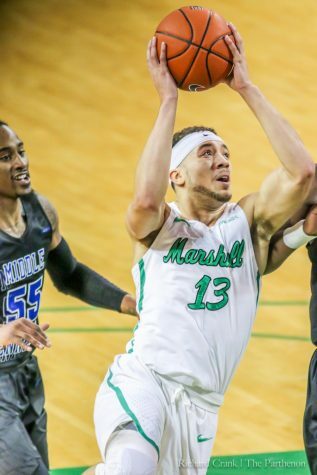 The Hilltoppers received nine of the 14 first-place votes; Marshall earned the remaining five. Despite not being picked to win the league, D’Antoni said he is still confident in his squad’s ability. D’Antoni said he credits the leadership on the roster and the willingness of the underclassmen and newcomers to learn as a catalyst for the team’s success over the last few years and for momentum heading into this season. 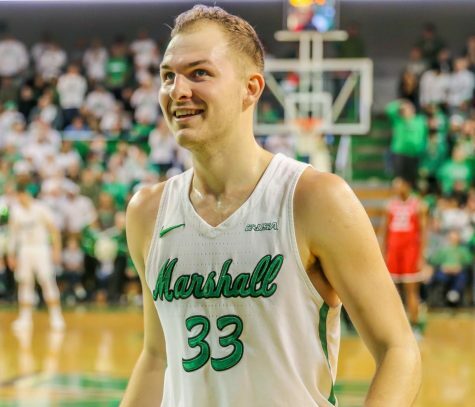 The Herd returns a trio of seniors in guards Jon Elmore, C.J. Burks and Rondale Watson along with Jannson Williams and Jarrod West. 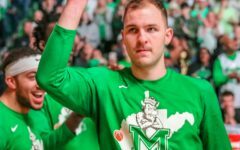 Elmore, Burks, Williams and West were starters during Marshall’s NCAA Tournament run, while Watson served as the sixth man off the bench. 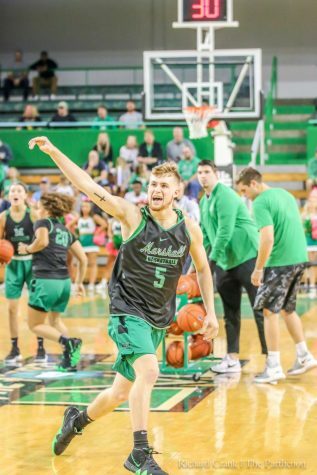 Marshall has seven newcomers for the 2018-19 season. 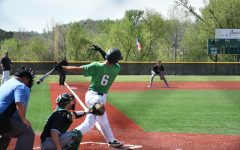 Taevion Kinsey, Cam Brooks-Harris, Jeremy Dillon, Luke Thomas and Wilhelm von Arndt are freshmen, while Ante Sustic, a junior, and Mikel Beyers, a sophomore, were junior college transfers. 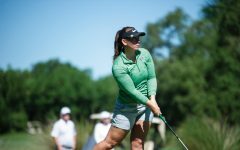 For Elmore, Burks and Watson, 2018-19 is their final chance to showcase their talents on the collegiate level. Each of the three seniors said they are ready for the challenge. 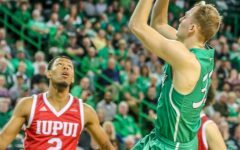 Elmore said he spent the summer working out across the country, including a trip to the Chris Paul Basketball Academy, where he roomed with Loyola Chicago point guard Clayton Custer. 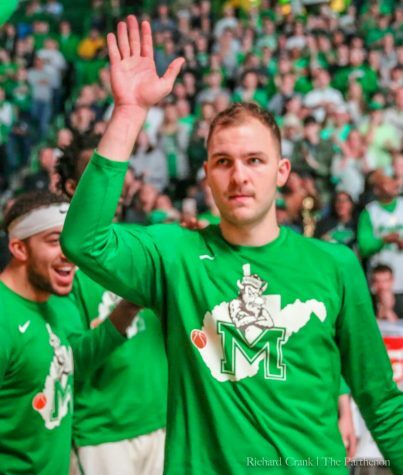 Elmore also worked out for multiple NBA teams before returning to Marshall and said this team has a chip on its shoulder. 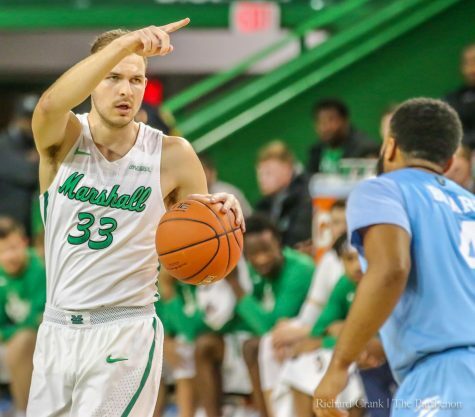 After defeating Glenville State, where Elmore’s older brother Ot is an assistant coach, and West Virginia Wesleyan in a pair of exhibition games, the Thundering Herd begins the regular season Wednesday night at Eastern Kentucky. 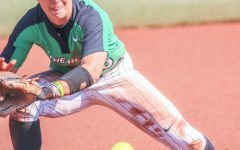 Marshall’s first home game is Sunday afternoon against Hofstra.